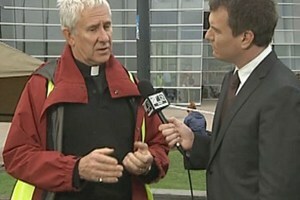 The Christchurch earthquake was “not an act of God”, it was just “the Earth doing what it does”. These are great words from the Dean of Christchurch Cathedral, Peter Beck. Another Dean, our guest preacher today, Dean Clarkson, from Mangere Baptist, made a great point today about these acts of God. We’ve all been so impressed with the outpouring of generosity and hospitality towards Christchurch people, as the community there has rallied together. Dean asked why it takes a disaster to be kind to our neighbours and share our homes with those who need them. For those of us who feel helpless at the moment, perhaps something real we can do is act towards our neighbours in New Plymouth the way we want to reach out to those in Christchurch. Who could you open your home to?